Jeffery B, Abonyi S, Hamilton C, Lidguerre T, Michayluk T, Throassie E, et al. 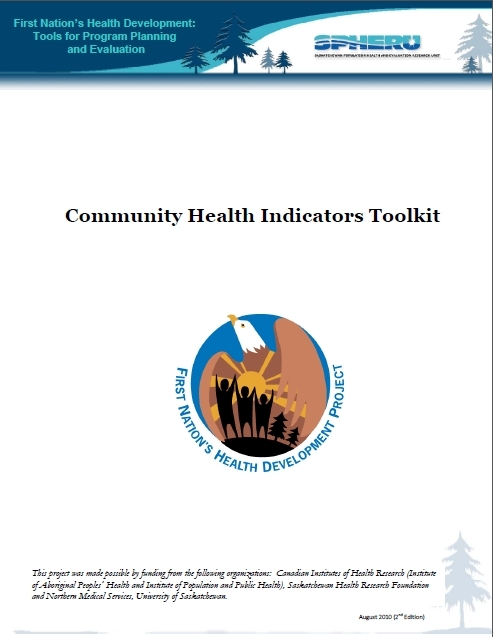 Community Health Indicators Toolkit, 2nd Edition. Prince Albert, Saskatchewan, Canada: Saskatchewan Population Health and Evaluation Research Unit, University of Regina & University of Saskatchewan; 2010.